There is a growing need for energy throughout the world. This insatiable demand is being driven from an ever expanding growth from the middle class of people in emerging economies looking to avail themselves of conveniences and tools that are normally taken for granted. Additionally, the worldwide explosion of technologies of all types, including personal electronics, mobile devices, and “quality of life” conveniences, place a greater demand on traditional grid or utility supplied fossil fuel energy sources. Wind energy is a nature’s free energy which can be harnessed irrespective of time and location. Massoud Rezvand, a PhD student at the University of Innsbruck, Austria, is currently running a crowd funding campaign for ‘Hybrid Wind Turbine’ at Kickstarter for a goal of €200,000. His research interests include numerical simulation of physical phenomena and renewable energy. The basic principle of wind flow is, it blows due to difference in air pressure from one point having high pressure to another point where pressure is relatively low. If the high pressure area, or if the pressure difference is very high, the wind can blow very fast. How does Hybrid Wind Turbine work? 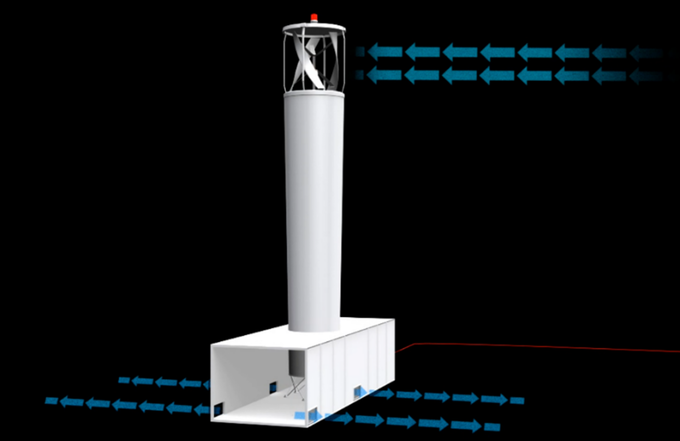 In Massoud Rezvand’s hybrid wind tower having height of 15 m, the pressure difference causes the wind flow in the vertical and horizontal turbines. 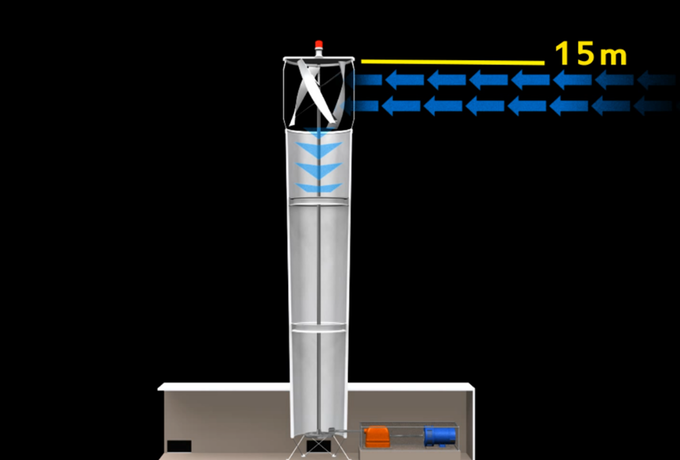 A vertical turbine is located at top which is driven by the direct impact of the wind. When the wind gets sucked down by the pressure difference, in height of 10 m and 5 m two horizontal turbines are also participating in the turbine's efficiency. 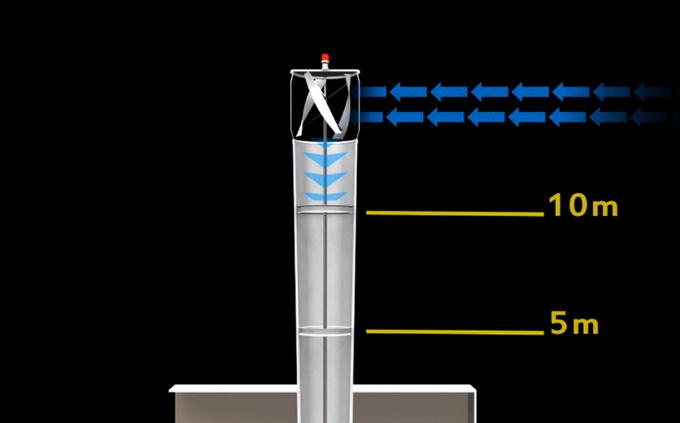 Due to the difference in the air pressure at top and bottom of the tower, air is sucked into the tower and makes optimal use of the wind power. 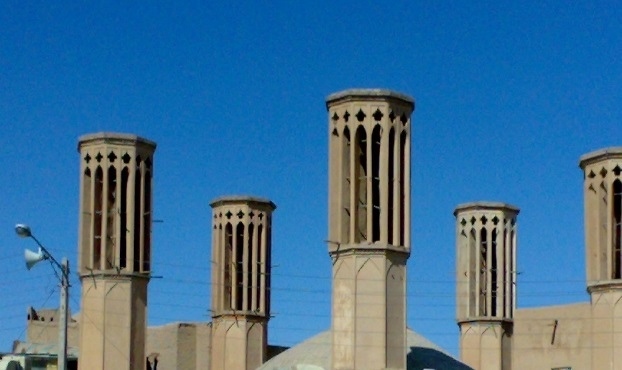 Wind towers facilitate the cooling and ventilation of hot and arid climate areas of the buildings. 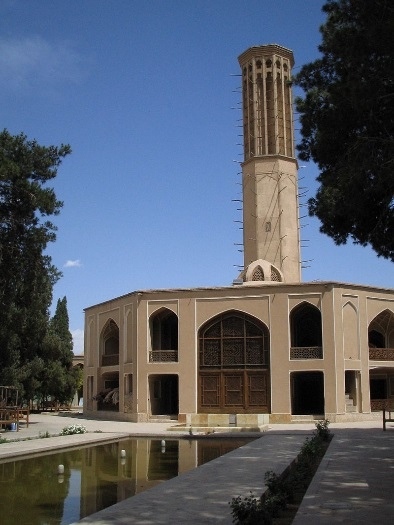 The world’s loftiest wind tower is 34m high and is located in Dolat Abad Garden in Yazd, Iran, which is included in the list of UNESCO world heritage sites. Wind towers normally consist of a channel with a polygon cross section and a vent at top. 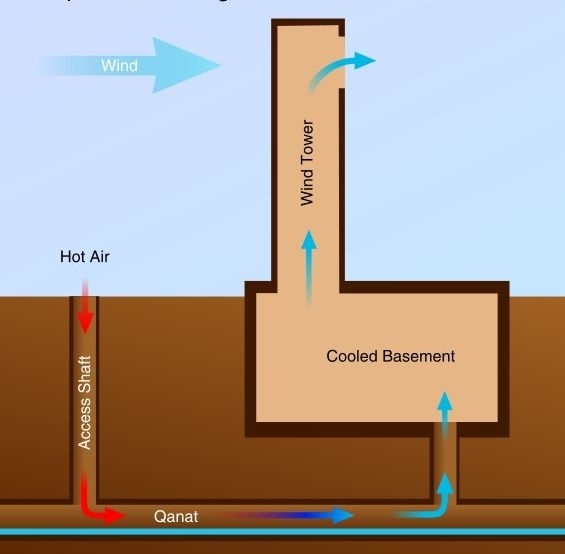 The vent is located at a position higher than the other parts of the building. Wind tower performance is based on the wet cooling concept, where the channeled wind is directed on a water pond or flowing water so that the wind is cooled by convection and evaporation. Massoud Rezvand and team need fund to produce the first large-scale prototypes and they are doing simulation studies to understand the physical phenomena. The experimental studies will be started initially on lab-scale towers and then on real-scale configurations on completion of the funding.